Also serving communities of Norfolk. In Nebraska, there are an estimated 34,000 people aged 65 and over with Alzheimer’s disease or dementia, and a portion of them reside in Columbus. Approximately 15.9 percent of the 23,128 residents in Columbus are 65+ years of age. To accommodate the need for Alzheimer’s and dementia care, there are two memory care facilities in the city. 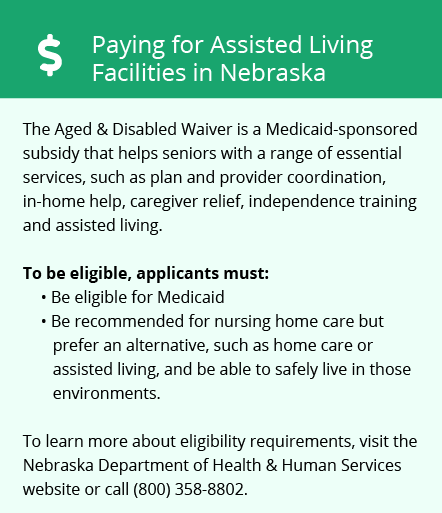 In Columbus and statewide, assisted living facilities (ALFs) are licensed by the Department of Licensure and Regulation, which is a division of the Nebraska Department of Health and Human Services. There are requirements for memory care facilities in Columbus and the rest of Nebraska related to staffing and staff training, which were put in place by the Alzheimer’s Special Care Disclosure Act. Columbus has a cost of living of 88.3, which is lower than both the Nebraska state average of 95 and the U.S. average of 100. The lower living cost may mean that memory care facility rates, transportation costs, healthcare and other expenses for seniors are more affordable in this city as compared to other cities, such as Omaha. Memory care residents and their loved ones can feel safe because Columbus has a crime rate that’s lower than the state and U.S. average. Violent crime in Columbus ranks 28.5, while the U.S. violent crime rate is 31.1. The property crime rate in Columbus is 31.5; the United States ranks 38.1. According to data from the EPA’s National Air Toxics Assessment, Columbus has an air quality of 74 out of 100. The United States ranks 58, meaning Columbus has some of the cleanest air in the nation, which is good news for seniors with respiratory conditions. Columbus is home to world-class medical facilities, including those specializing in brain health and dementia care such as Columbus Community Hospital, in the event of medical emergencies or illness. Memory Care costs in Columbus start around $0 per month on average, while the nationwide average cost of memory care is $4,799 per month. To see a list of free memory care resources in Columbus, please visit our Assisted Living in Nebraska page. 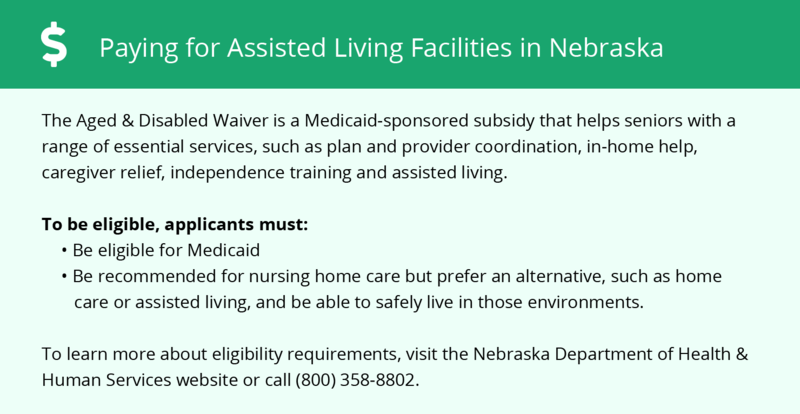 Columbus-area assisted living communities must adhere to the comprehensive set of state laws and regulations that all assisted living communities in Nebraska are required to follow. Visit our Memory Care in Nebraska page for more information about these laws.